Those of you who have followed along on my blog know that my goal was to do at least one blog entry a month, but it's February 22, and this is my first post of 2018. I also am VERY behind on my Get in Gear for the Next Tier homework, and I ate 1/4 of an oreo cream pie today. So I'm not feeling to hot on the goal accomplishment side of things. When it's a goal that only affects ME, I can struggle with follow through, (like dieting, or updating my blog on a schedule). When it's a goal that affects others (like getting off book quickly, or any group deadline) I am able to work diligently. I should figure out why that is...perhaps some therapy is in order to sort that out. My husband and I were talking about this and he reminded me that it's good to use the 80/20 rule. I can't expect myself to be 100% all the time for everyone. I also have a toddler, and that takes a lot--especially right now when she has pink eye, and Da-da is now the preferred parent, so sometimes she tells me to move, shuts doors in my face, or cannot be comforted my me, just "Daaaa-daaaa." That's draining! Is there like a type A - personality? Or B +? I sometimes feel like a wanna be perfectionist who someday people will unmask as a slacker. I feel like people perceive me as high functioning, but especially since becoming a parent (hello mom-brain), I feel major imposter syndrome and that folks will realize I don't do enough. Whatever "enough" is...sigh. Joined a self-tape co-op. A handful of actors who are making themselves available to be readers for self-tape auditions with each other. Met a new-to-me casting director face to face, so now she knows my face and name. Prepped 2 monologues for TPS Unified General Auditions that I'm excited about. Taken a Linklater voice class, and plan to attend again! So I'm doing the work. 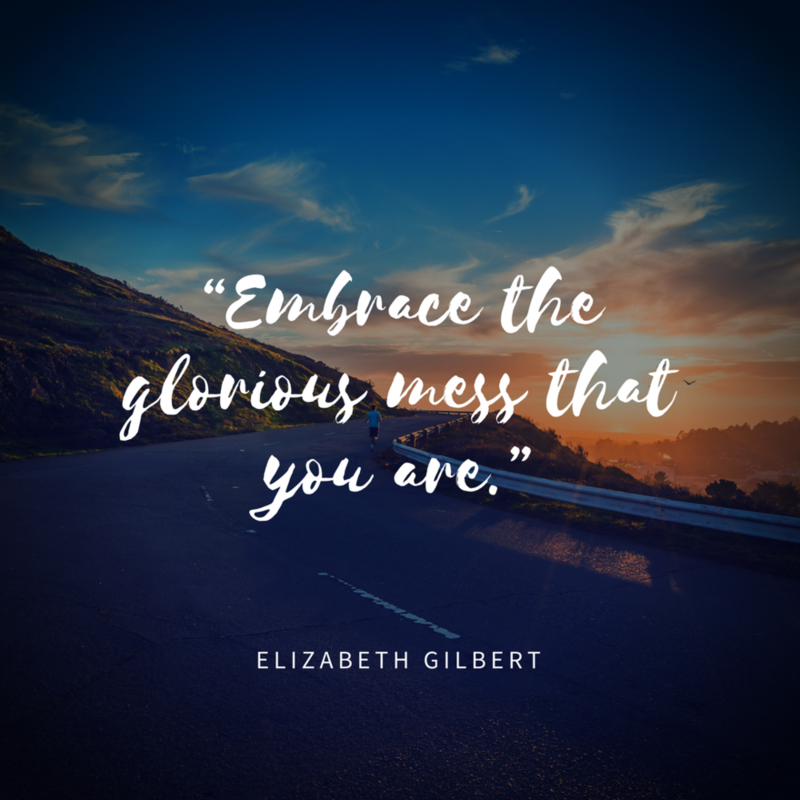 I should give myself credit; I'm working to accept myself and, as Elizabeth Gilbert says, the GLORIOUS mess that I am. I know I'm harder on myself than others are on me, but I never want to wallow in the status quo, especially when I have goals to further myself and my career. Focusing on the positive is always harder, though, but looking at the list above feels pretty good.